Product Consists : I Love You Letter Home Made Chocolate, Sapphire Chocochip Cookies (Weight : 400 Gms) along with Love Greeting Card. 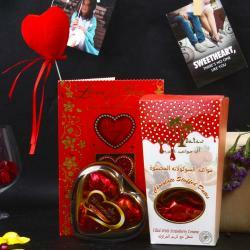 Send lovely gift of Giftacrossindia on Valentine Day to bring a warm smile on the face of your loved ones. This is the perfect gift for a chocolate lover who enjoys the tastier things in life. 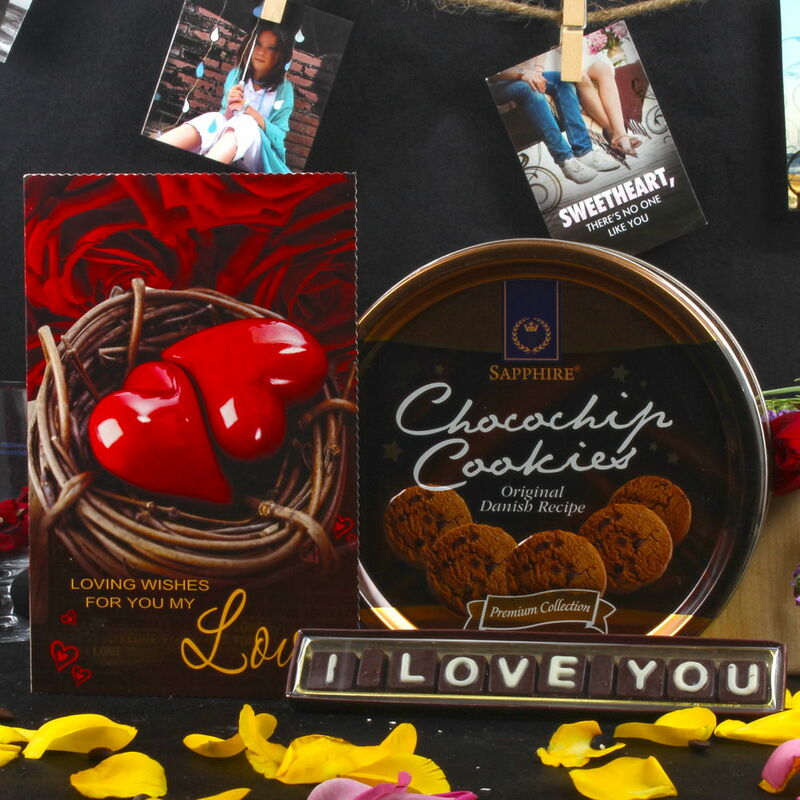 Here we present Gift delicious gifts with I Love You Letters chocolate and Sapphire Chocochip Cookies. This Sweetness of chocolate and crunchiness of cookies will definitely delight your love partner. 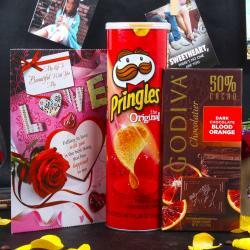 This hamper also includes one love greeting card which consists romantic message in it. Gifting is the perfect way to showcase your deepest most heartfelt feelings and desires to your loved one. So, buy this lovely gift now. 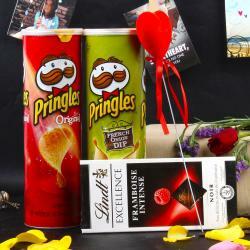 Product Includes: I Love You Letter Home Made Chocolate, Sapphire Chocochip Cookies (Weight: 400 Gms) along with Love Greeting Card.